In order to process payments, we ask you to input your payment details. Your payment details are never stored on our servers, they are forwarded immediately to Stripe, our credit card processing company. Stripe is one of the most secure payment providers in the industry. Important: Due to the fact that Kinsta is a UK company, you will be billed from the UK. If your credit card is set up to decline all international transactions this could result in your payment failing. Make sure to allow transactions from the UK so your card isn’t declined. 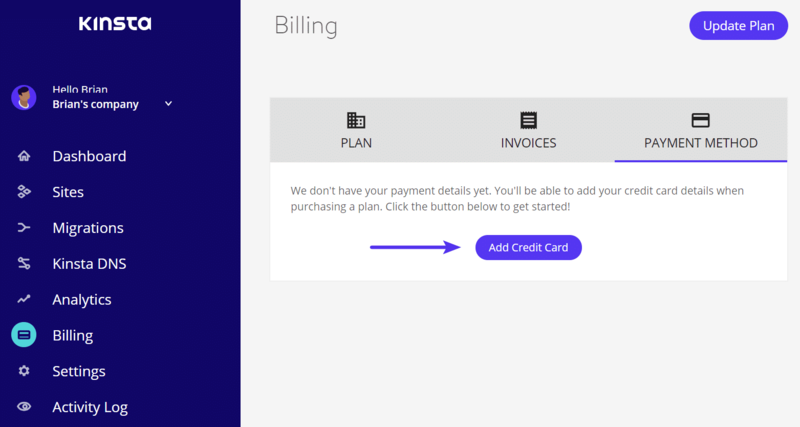 After a few moments, your card will then show up on the billing dashboard. 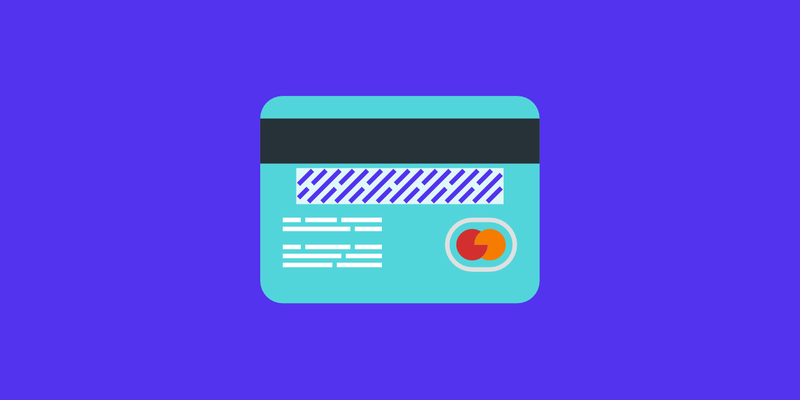 If you only have one card it will automatically be assigned as your default payment method. 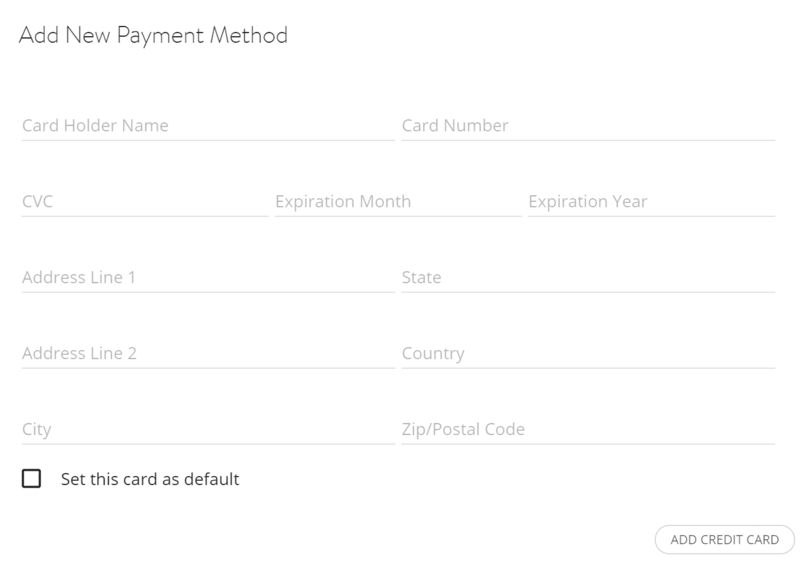 You can add multiple cards, but our payment system will only charge your primary/default card. You can change your default card at any time from the “Payment Method” tab by clicking “Update” on a card selecting the “Set this card as default” option.